I am always searching for new ideas and trying to be productive in my court reporting work so I can get my work out the door as quickly and efficiently as I can, so that I can go about my day and tend to my family and personal life. I’ve been contemplating the idea of using a second monitor, but I’m not sure the cost is worth the possible benefit. Some insight on whether I should move forward with my purchase would be helpful. Thanks! Do you two screen? Should you? I use two screens: One screen is for my CAT and what I’m working on, editing, and so on. The second screen, I keep e-mail, newspaper, Facebook, and bank account open. So it’s just click to do what I need to do. Some people prefer Dell screens with a device that holds two of their screens on a single pedestal. There are cheaper brands on Amazon; for example, VIVO Dual LED LCD Monitor Free-standing Desk Stand. Others of us like two independent screens, as I do. I have two screens, each of them is 24 inches. You need desk space to do this, which I hope everybody has. If you’re an overachiever, try three screens. Yeah, it’s possible. 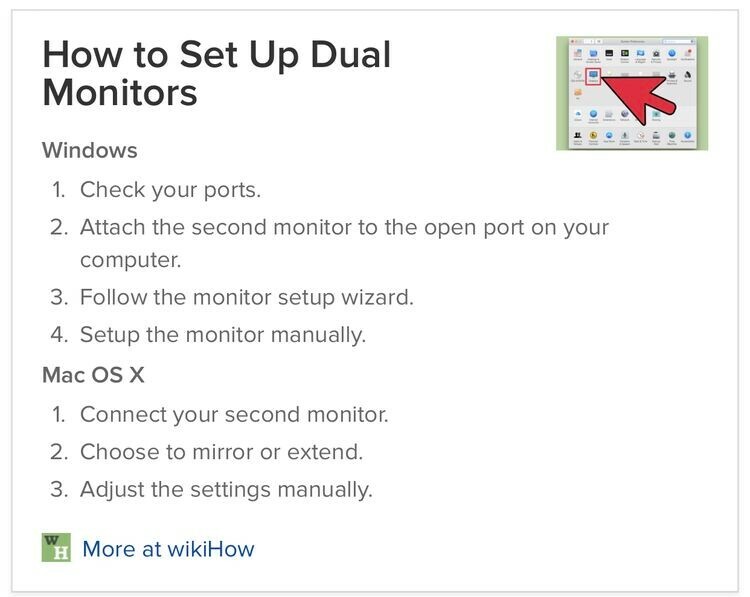 The limit on what you can do is the number of ports your computer can use to support screens. Check the screen resolution for your system. A quick Google will bring up the answers: 800 x 600 or 1600 X 1200, or even bigger. The difference is the size of the number of pixels on your screen. The bigger the numbers, the smaller the pixel, therefore, the smaller the text on your screen. As we all get older, we need bigger letters… at least, I do. There is a function in Win 10 to allow you to increase the size of the resolution, i.e. the pixels, which makes the letters in text and menus larger. No, you don’t have to continue to squint to see the small letters! So now that you’ve fixed the two screens and the text size, let’s move on. Most of us grew up with the full-size box, sitting on the floor. Now most use a notebook, where the screen gets smaller: It’s great that it’s lighter to carry around, but the text is smaller and the keyboard is puny, to say the least. 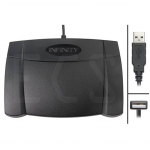 There are small units available with a lot of power; for example: Intel’s NUC, Next Unit of Computing. 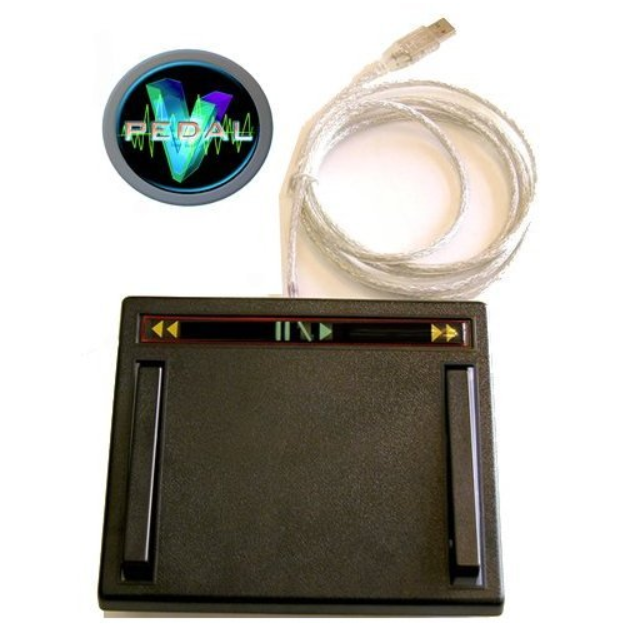 These have been available for quite a long time and do the job quite well, with more than enough ports for what you need. Try 5.5 inches by 8 or so inches, which will probably end up being approximately an inch thick. 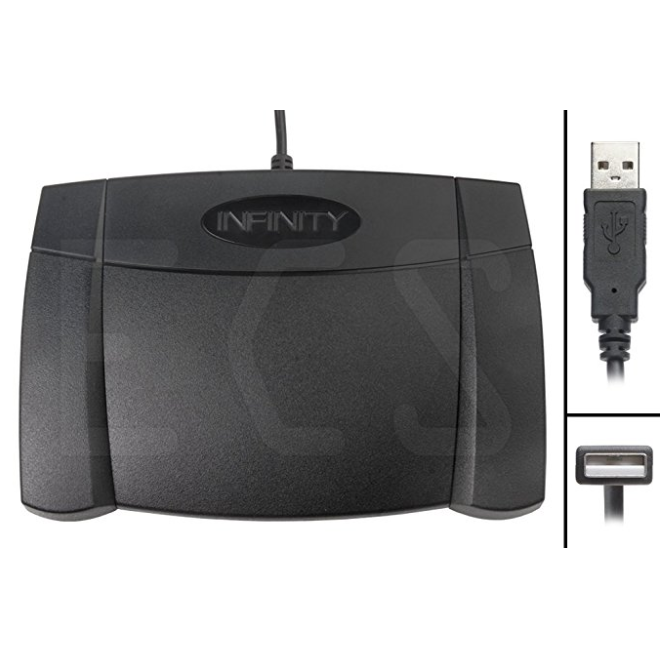 It contains multiple SSDs, hard drives, 16 or 32 megabytes of RAM, a fast processor, etc. Now put it all together, get that new, super-small computer, two or three screens, a mechanical keyboard, and you’ve got editing glory! Enjoy shopping! Multitasking is a way of life for many of us. Your desktop can multitask, too. Multiple monitors enable the user to have two completely separate programs running, making it easy to glance back and forth between, say, your CAT software and your .pdf exhibit, which was read at lightning speed into the record. TechLinks: What is the cloud and how do you restore from it? What is cloud computing, in simple terms? Cloud computing is the delivery of on-demand computing services — from applications to storage and processing power — typically over the internet and on a pay-as-you-go basis. The adoption of cloud-based platforms is growing in the marketplace and can vary depending on several factors. ZDNet offers an in-depth article about the history and examples of cloud computing available. “Given the multitude of cloud storage providers out there, one has to wisely choose a provider who will offer the maximum amount of low-cost storage and bandwidth, while still keeping your data safe,” the article continued. NCRA’s Technology Committee Chair Lynette Mueller, FAPR, RDR, CRR, suggests there are several reasons to adopt the use of a cloud service for court reporters: Security, speed, reliability, backing up, restoration, and productivity. Remember, though, that you should also utilize multiple backup methods. Some to consider are as follows: Laptops, external hard drives, Drobo, writer SD card, Synology, and CrashPlan. A blog post by Mueller at Omega Reporting gives additional information about backing up and is still relevant today. There are many, many options for cloud storage today. How to choose the right cloud storage option is dependent on several factors. What type of files do you wish to store? Do you plan to collaborate with colleagues? Do you want to share files with clients? How easy to learn and/or intuitive is the service? How much is a paid version? 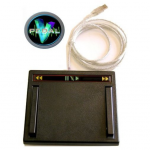 Need options for your particular system? If you are using multiple cloud storage platforms, consider CloudBerry Backup Free, an app designed to be useful for users who wind up with data scattered across several online services. Box: I use this for my repository. According to their policies, Box is HIPAA-compliant. If you know your client uses Box, add them as a Collaborator so that they can move the files to the folders of their choice without having to download and upload again to a different folder. This will save them time and get them on with their day. Dropbox: This is the known storage app for the masses. You can collaborate with colleagues and share links with clients. 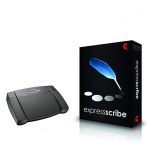 I can create a special link for the court reporters, proofreaders, or scopists that don’t have Dropbox too! Simply create the link, and they can upload directly to it. Say, for example, a client calls you and you’re on a job or on vacation and they desperately need that deposition they can’t locate. Dropbox to the rescue! If you store your transcript files in Dropbox, you can create a link directly from your smartphone (providing you have it on your phone), and send them a secure link on the go. Dropbox or any other cloud storage option is a good way to send those large .wav files to your scopist or to share word lists with colleagues. iCloud: I utilize iCloud to back up my iPhone data and my extensive photo albums. One of the benefits of using iCloud is that all my contacts may be accessed on my iPhone, iPad, and both of my Mac computers. I enter the data once and, boom, it’s on all of my devices. No need to type in data multiple times. A true time-saver! I utilize my Mac for administrative purposes: Email, calendar, billing — you get the idea. When I’m on the job and check email during breaks, if there’s a W-9 or an invoice a client needs, I can simply add the attachment straight from my iPhone because I have access to my desktop and all my cloud accounts. The client never has to know I’m away from the desk! Stenograph’s Cloud Backup: The beauty of our profession is that we can produce a transcript anywhere we are as long as we have our laptop and an internet connection. When I’m on vacation and have to catch up on a little work, I know that I can always access my Catalyst files on the go with Stenograph Edge. I just accepted a position in federal court, after having been a freelancer for several years. What briefs can the Tech Committee recommend to help the transition go smoother for me when I’m offering realtime to my judge? A blog by Kramm Court Reporting posted by JD Supra on Feb. 19 discusses the benefits of bringing small scanners to depositions. 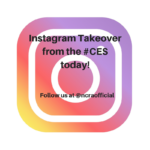 NCRA Technology Committee member Kelli Ann Willis, RPR, CRR, has taken over the NCRA Instagram account, @ncraofficial, this week from the Consumer Electronics Show (CES) in Las Vegas, Nev. We talked to her about what she is planning. JCR Weekly | Tell us about yourself. KAW | I am an international realtime court reporter. I have been reporting since 1983 and realtiming since 1994. I have been a techie since my teens. JCR Weekly | What interests you about the CES? KAW | CES is the Super Bowl of the tech world! It is the place where all new technology is showcased. I have been watching reports from the CES floor for years! JCR Weekly| What are you hoping to find? KAW | I cannot wait to see the new TVs, computers, and anything else that catches my eye! I am going to be on the search for anything techie that can help court reporters. 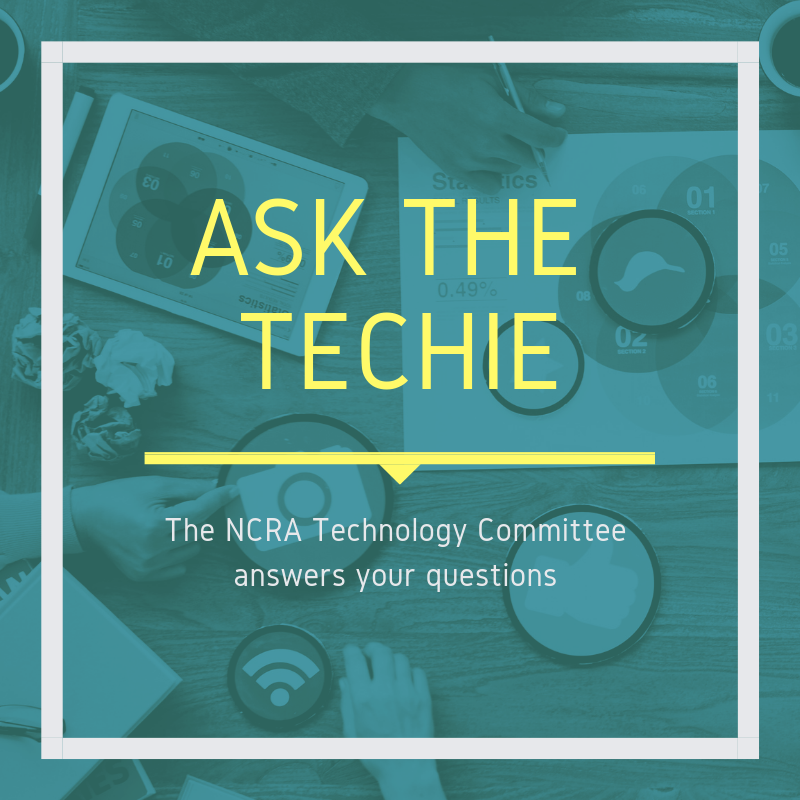 JCR Weekly | What new technology do you think will be interesting to NCRA members? KAW | Computers, cell phones, and AI will be a focus. 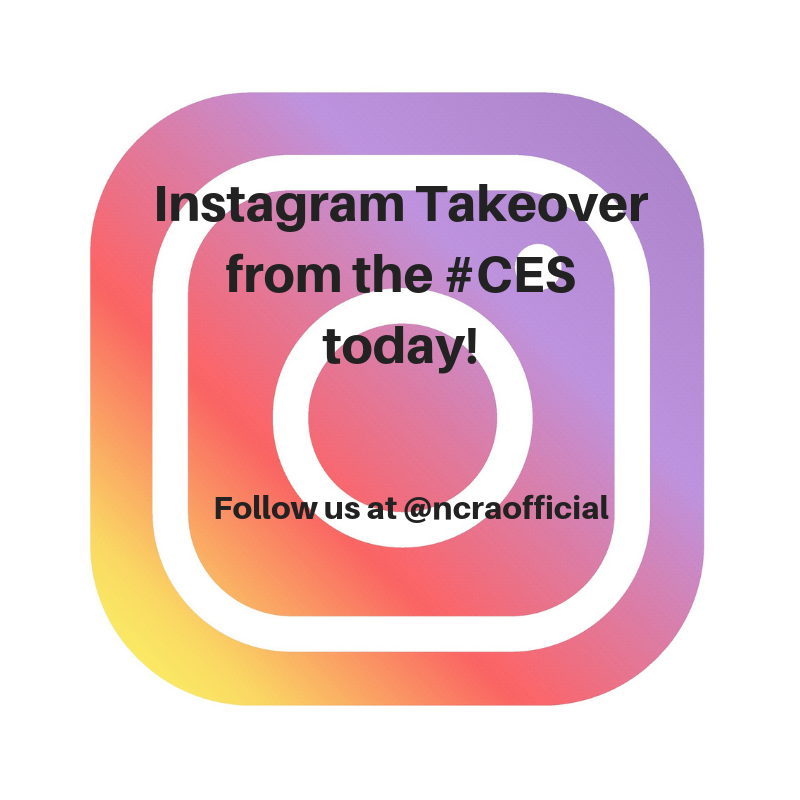 Be sure to follow us on Instagram at @ncraofficial to see what Willis finds. Cyberattacks are in the news again. And while the reports may focus on elections or high-profile attacks on government or financial organizations, cyberattacks on small- and medium-size businesses are accelerating and increasingly sophisticated. In an effort to keep these kinds of issues at the forefront of members’ minds and give a general background and knowledge, we collected a number of links to articles that can offer information as you decide the best approach for you and your company. 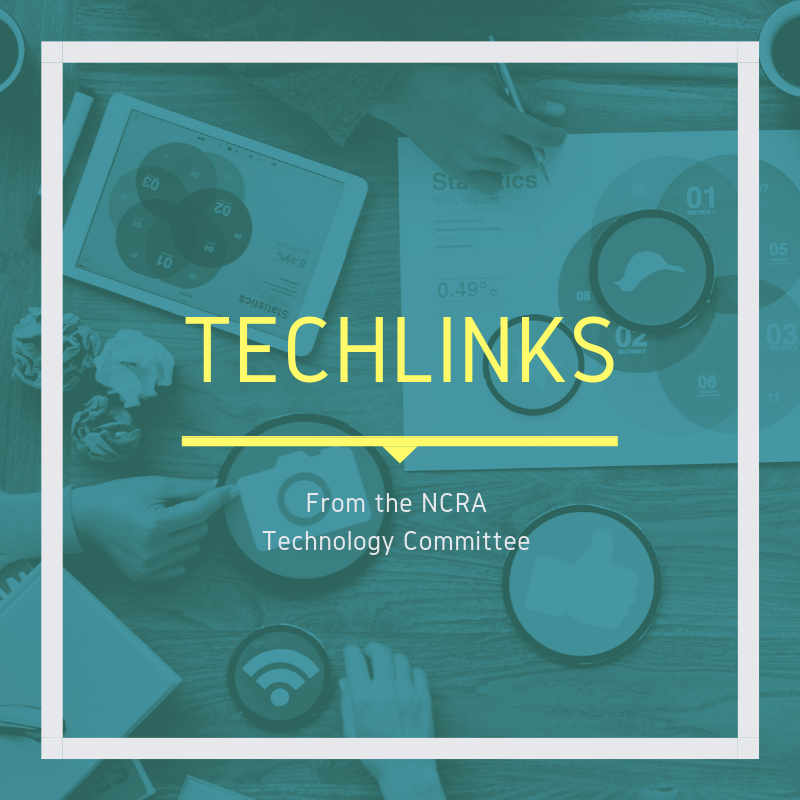 In addition, we’ve linked several TechLinks stories from the past year that discuss protecting yourself from various scams. Nolo, one of the web’s largest libraries of free, consumer-friendly legal information, offers a few steps that small businesses can take to prevent being caught in a cyberattack: 1) maintain control over your security chain; 2) implement security and other protection measures; and 3) involve law enforcement after detecting a security breach. The article also offers advice on what to do after a cyberattack. A May 29 article on Inc.com suggested that the majority of small businesses do not have a plan to protect against cyberattacks. 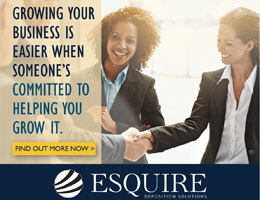 The article goes on to offer four myths that small business owners might hold and four ways to protect your company. The best defense is being aware of potential risks, reminds a May 4 article on Forbes.com. The article lists the top five ways that cyberattacks occur and offers ways to combat them. Hackers are looking to find the weak link in your organization, so make sure that everyone who works for you is aware of what to look for and how to avoid it. TechLinks: Is this email for real? Almost immediately after the General Data Protection Regulation (GDPR) went into effect, Facebook and Google were sued for sharing personal information. However, some experts believe that it is small firms that have the most to lose if found to be in violation of the regulation. If you are responsible for a website for a court reporting firm or association, you will probably want to pay attention to the GDPR requirements, since its repercussions are being felt worldwide. If you do your own website and need a cookie consent banner, try CookieConsent. 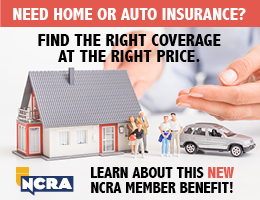 In the course of their work, many NCRA members learn people’s full names, social security numbers, addresses, and medical information, all of which can be considered information that should be confidential. Court reporters have adjusted their practices to accommodate the privacy and confidentiality needs for this information; for instance, reporters began adopting HIPAA-compliant practices to comport with HIPAA regulations which govern health information. NCRA notes that various jurisdictions already have laws or regulations in place to regulate, restrict or even prohibit the outsourcing of judicial transcriptions. NCRA supports full compliance with and effective enforcement of such statutes and the creation of additional law, regulation or standards that effectively and reasonably ensure the security of confidential judicial records. If you haven’t done so recently, now would be a good time to review your business practices so that you are continuing to ensure the confidentiality and security of any records or other information on behalf of your clients. “These are all things that we have direct control over in regard to confidentiality,” says Lemons. Attorney Mona Ibrahim, who advised several clients about how to comply with GDPR on their websites, wrote in the article “Why you should be reading the privacy notices choking your inbox” on polygon.com that it is useful for people to pay attention to the emails and notices with the changes. Although the rights are mostly for residents of the EU, others will benefit because so much of what takes place online is global. She lists a number of rights granted by the GDPR, including access to your data, asking to have your data deleted, the ability to restrict certain third-party activities, and more. It’s all about consent. Ibrahim notes: “Consent must be specific, concise, easy to understand, and freely given. Individuals in the EU must also have the ability to withdraw consent in a manner no less difficult than it is to give consent.” Consent is even required if you want to continue communicating with people already on a list you’ve created — whether by email or mail. The GDPR also offers a number of tools for consumers, including a way to download all of your data. Check out Gizmodo for more information. The General Data Protection Regulation that was put in place by the European Union in May 2018 may seem unimportant in your everyday life, but anyone who owns a business that has a website or who subscribes to email from any website — which is probably most people — should be aware of what the regulations are and how they might affect you. 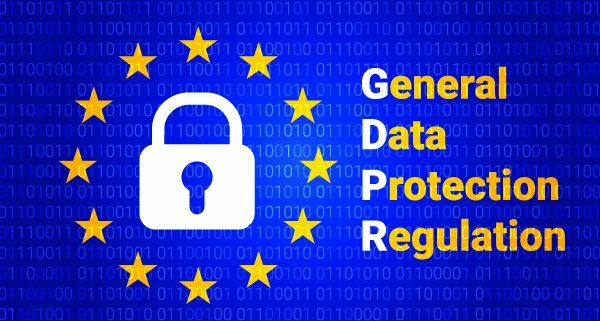 The General Data Protection Regulation, more commonly called the GDPR, protects the private information of residents of the European Union. The personal data covered includes the names, user IDs, IP addresses, cookies, social media posts, and much, much more. The official standard for GDPR can be found at https://gdpr-info.eu. The GDPR went into effect May 25 of this year. And, even though they were based in the U.S., both Facebook and Google were immediately sued under the regulation for how they handled the private information of people based in the European Union. You might think that your business or organization is too small to be affected — that only the big companies will be sued. However, some experts think that it is the small companies that will have the most to lose if they fail to put compliance measures in place. If your firm manages or stores any personal data of individuals residing in the EU, GDPR affects you. Need more encouragement? Although it has yet to be determined exactly how U.S. companies will be held accountable, fines for non-compliance can range from €20 million (more than $22 million) to 4 percent of the company’s annual global revenue — whichever is higher. Even if you don’t have any members/customers/clients located in the European Union, it’s still smart to remain as GDPR-compliant as possible. Some United States regulators have even called for a personal data review here at home, saying America is no longer the leader in data protection.